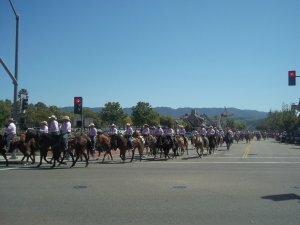 This Saturday (5/5/18), head into downtown Solvang around 3pm to welcome more than 700 members of the Rancheros Visitadores “visiting ranchers” for their free equestrian parade. 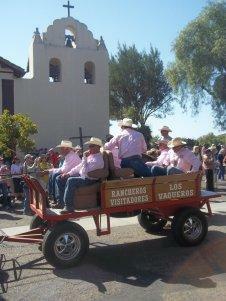 You can greet them as they head north along Alisal Road then east on Mission Drive to Old Mission Santa Ines for a gathering and blessing by the padres. 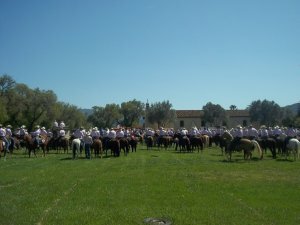 Watch these handsome horses, riders and carriages stride by—once again, they will be attired in pink shirts to support the Cancer Center of Santa Barbara at Sansum Clinic to raise money for local breast cancer patients.